"The instant happiness that Porter gave his audience is the kind that becomes history." 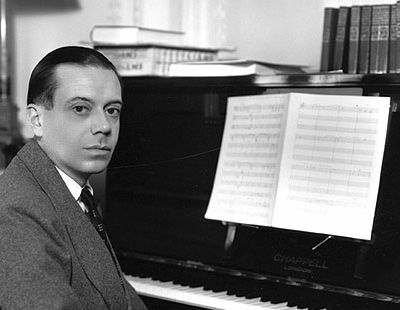 “Night and Day,” “I Get A Kick Out of You,” “You’re the Top,” “Begin the Beguine,” “My Heart Belongs to Daddy” — some of the cleverest, funniest, and most romantic songs ever written came from the pen of Cole Porter. He was unmatched as a tunesmith, and his Broadway musicals — from “Kiss Me Kate” and “Anything Goes” to “Silk Stockings” and “Can Can” — set the standards of style and wit to which today’s composers and lyricists aspire. 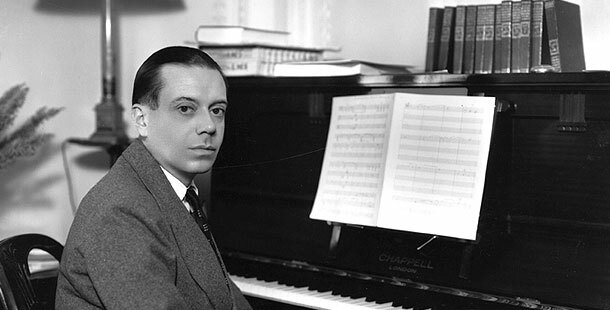 Born in Peru, Indiana in 1891, Porter studied music from an early age, and began composing as a teenager. After high school he attended Yale University, where he was voted “most entertaining man.” Though he went on to law school at Harvard University, his interest remained in music. From Harvard he continued to write, and a number of his pieces were used in Broadway musicals. In 1916, his first full score was performed. The musical, “See America First”, was a flop and closed after only fifteen performances. He soon began to travel around Europe and got an apartment in Paris. This was the beginning of his life long affection for the city, which he would return to in songs such as “You Don’t Know Paree” and “I Love Paris.” During his time abroad Porter contributed to many musicals including “Hitchy-Koo” and the “Greenwich Village Follies”. It wasn’t, however, until his song “Let’s Do It, Let’s Fall In Love” appeared in the 1928 musical Paris, that he had his first big hit. Despite a horseback riding accident in 1937 that crippled him for life, Porter produced much of his best work in the 1940s and 50s. He wrote hundreds of songs for dozens of Broadway shows, movie musicals, and television specials. His most successful musical, “Kiss Me Kate”, opened in 1948 and ran for over a thousand performances. A recluse in his later years, Porter died in California in 1964. Today his legacy lives on in productions of his musicals and in recordings of artists such as Ella Fitzgerald and Lena Horne.